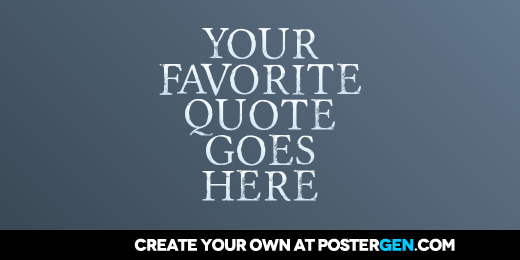 Use our quote generator to create your own quote posters that you can share on Facebook, Twitter & Pinterest. You can also create amazing quote posters that you can hang as wall art. "Your favorite quote goes here"